Miami-Dade County transportation planners want to extend the Dolphin Expressway beyond the urban boundary shown here along Southwest 157th Avenue. Miami-Dade County commissioners voted Thursday to approve construction of a controversial 14-mile extension of the 836 expressway. The road will pass close to, and in some areas beyond, the county's urban development boundary, which serves as a buffer to limit development into sensitive Everglades wetlands. 836 expressway extension passes on a 9-4 vote in Miami-Dade. It'll go beyond the county's urban development boundary into wetland areas. Enviro groups and commissioners Edmonson, Levine Cava, Higgins and Suarez opposed it. Mayor Gimenez and West Kendall residents championed it. The extension will provide people in the Kendall area an alternative way to reach 836. Currently the options are limited to Florida's Turnpike and Southwest 137th Avenue, meaning that some commuters spend two hours per day trying to get to downtown Miami. "I think quality of life will -- no, I know quality of life will improve," said Commissioner Joe Martinez, a resident of southwest Miami-Dade and the prime sponsor of the development plan amendment that commissioners approved to allow the extension proposal to proceed. Martinez joined Mayor Carlos Gimenez in championing the plan, which passed by a margin of 9-4 with commissioners Audrey Edmonson, Eileen Higgins, Daniella Levine Cava and Xavier Suarez voting no. 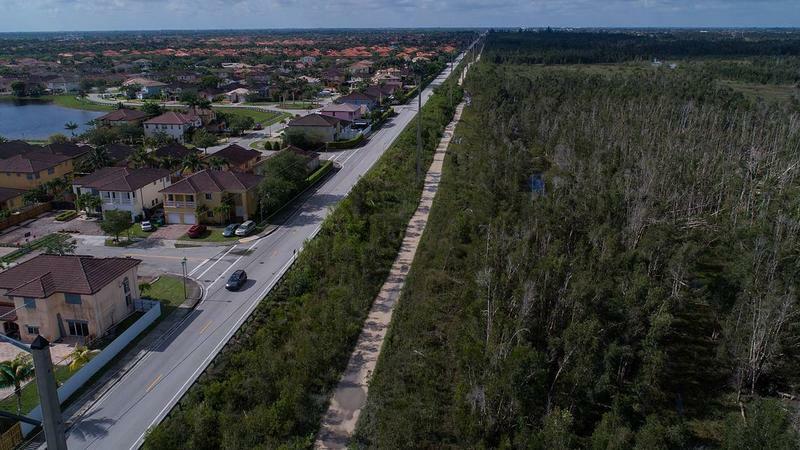 The decision disappointed many people who are worried about protecting the Everglades from urban sprawl, particularly since the expressway's exact route has not been finalized. "This doesn’t help our future sustainability," said Laura Reynolds of Friends of the Everglades and the Hold the Line coalition. "This is something that we will regret for decades and decades to come." The extension is legally required to not interfere with projects in the Comprehensive Everglades Restoration Plan, a multibillion dollar, multi-decade partnership between Florida and the federal government. That doesn’t mean it won’t impact the Everglades. Miami-Dade’s environmental resources director, Lee Hefty, said he doesn’t think the highway will affect wellfields that draw on the aquifer below the Everglades to provide drinking water to Miami-Dade and Monroe counties. But, he says, it will have some impacts on wetlands. 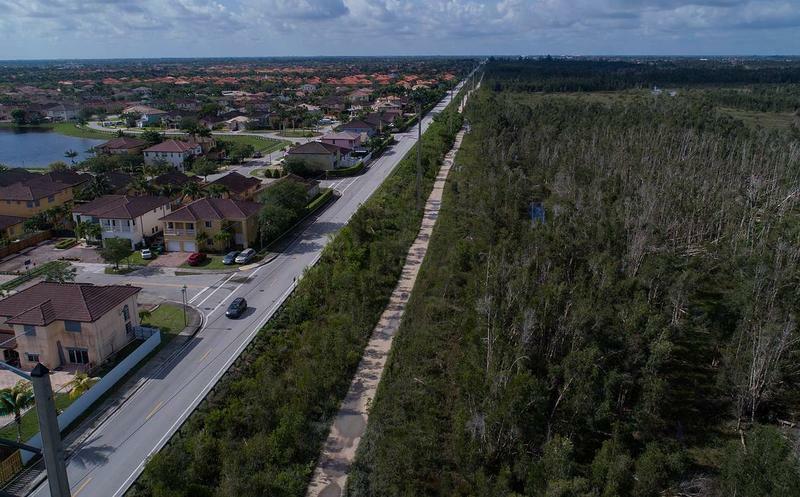 The county and the Miami-Dade Expressway Authority have agreed to purchase and preserve land to try and offset negative consequences of the extension. That land will be a "buffer zone" to limit future expansion of the urban development boundary, because the boundary must pass through parcels of land that are contiguous. The project still has to clear several permit reviews. This is breaking news. The story will be updated as more information is available.